A good EPK can get you to festivals, boost your crowdfunding and land you a distribution deal. The level of EPKs out there varies greatly, with no correlation to film budgets. 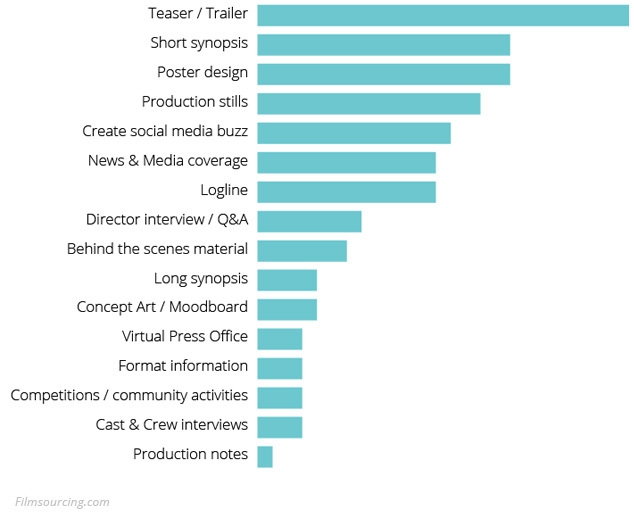 We talked to film festival organizers, filmmakers, film schools and film investors to find out what goes into a good EPK. Scroll down for EPK Template options and Electronic Press Kit examples. 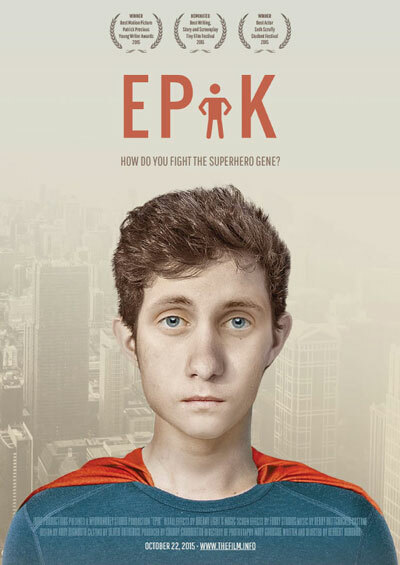 EPK is your press kit in an electronic form. 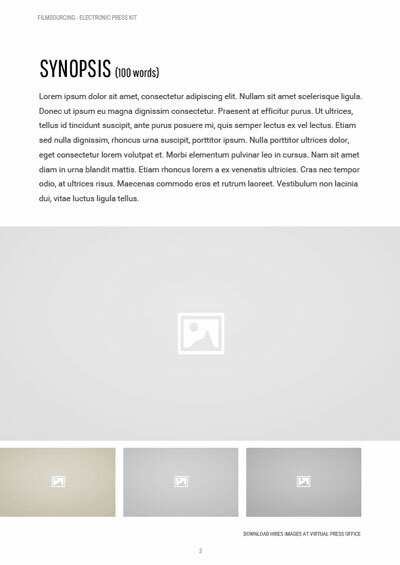 It usually exists as a downloadable document (PDF), accompanied by your trailer and other video material on Blue-ray / DVD / flash drive and – increasingly – as a website. It’s not just for press though. When set up in pre-production, your movie website can be a powerful tool for marketing, fundraising and pitching your film idea to possible collaborators. 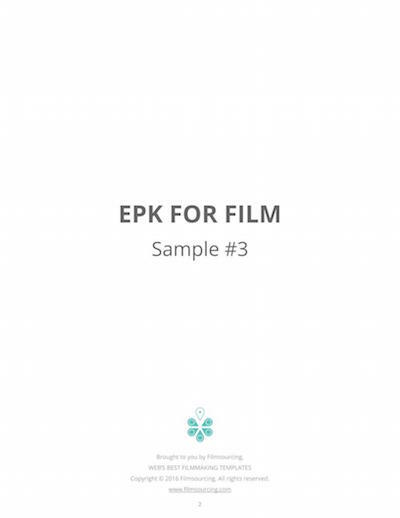 The purpose of your EPK is not just to get the recipient interested in watching your film but to show how easily and effectively they can market your film. The difference is like going on Dragons Den hoping to sell one prototype to one of the dragons, versus trying to convince them to produce, promote and sell thousands of copies. You need to paint a picture of the success your production will have. To you, your film can have hundreds of layers, nuances and even several intersecting themes. However, when it comes to marketing, this needs to be dumbed down. You need ONE, strong angle. (Unless you’ve already won several major festivals, in which case THAT is your angle.) Think about what makes your production special or unique. Is it based on a well-known urban legend? Was it written by a 10-year-old? Find your angle and built your EPK around it. In the age of social media, even the most complex works of art have to be condensed to 140 characters / one striking pic. Depending on where you are at, there are several other sections you may want to include. 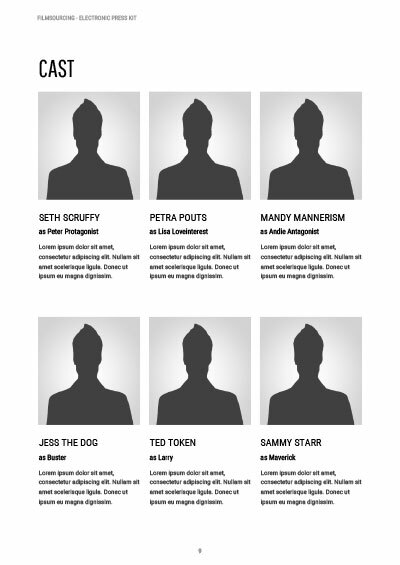 Take a look at the previews of our sample EPK (down the page). By planning your EPK in the very beginning, you know exactly what kind of material (such as production stills, interviews and making-of material) you need to gather during the busy production phase. 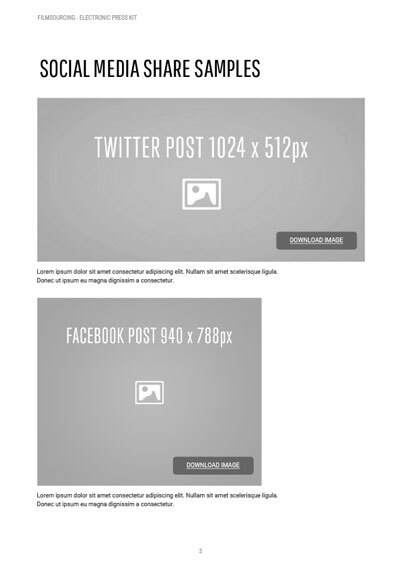 This way, you can also use your website to create buzz, collect contacts and support a possible crowdfunding campaign. 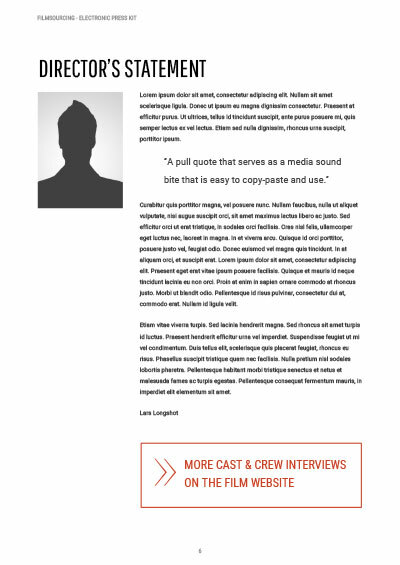 To save you hours of time, we have created templates to help you create your own EPK – one that looks good and ticks all the boxes. 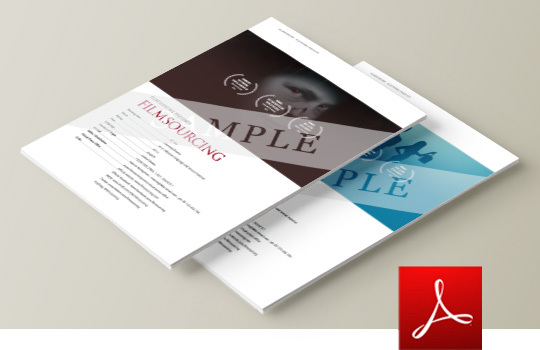 Download FREE sample PDFs of our EPK template from our members area. Sign up to download and access members only content. Not an Adobe user? 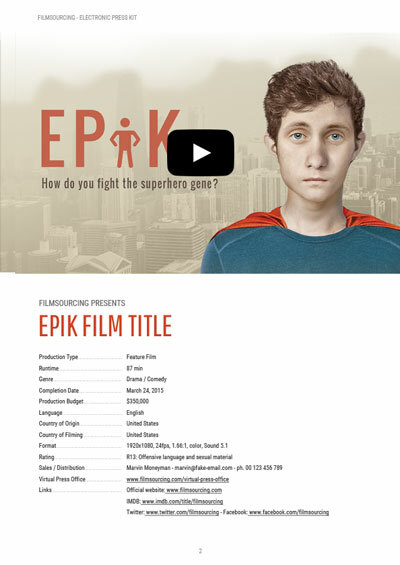 Our EPK template is now available for the FREE online software Google Slides. Super easy to use! 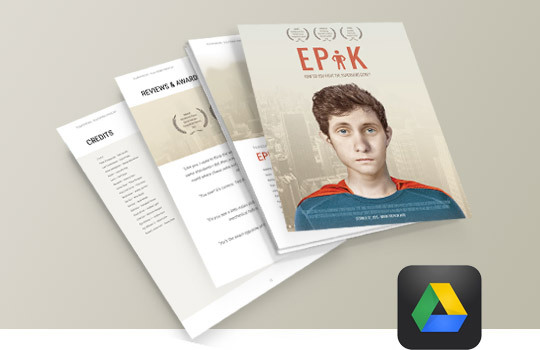 Subscribe to download EPK Google Slides Template. 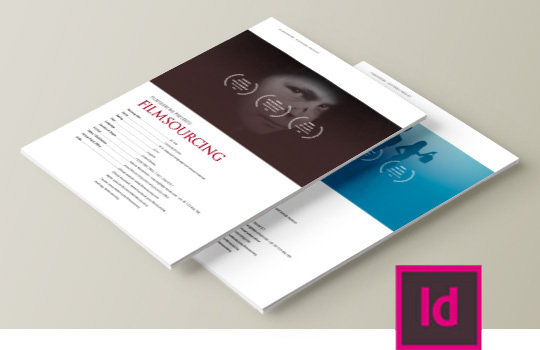 Create a striking EPK PDF using our simple InDesign template – save yourself hours of work! 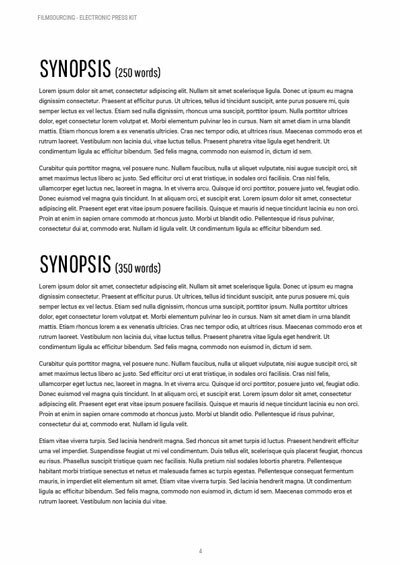 Subscribe to download EPK InDesign Template. 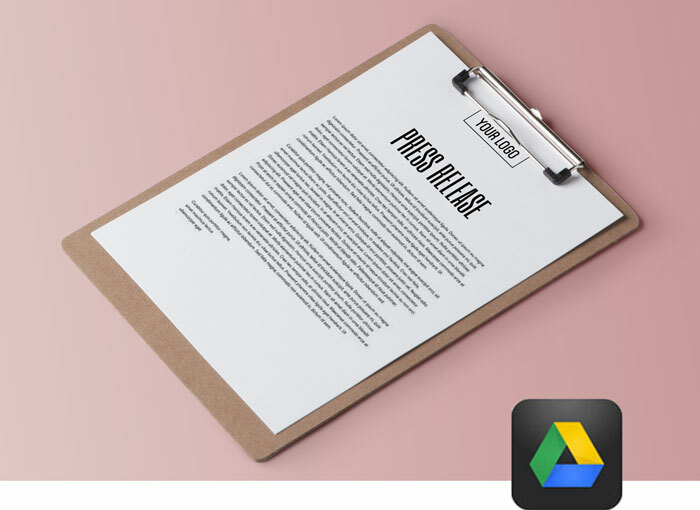 Also check out our “Writing a Press Release For Film” article: Here we take a closer look at the tricky business of sending out press releases. Poll: Most important EPK website features? Here are a few examples of what the festivals and distributors think about EPKs and press kits. Flick us a message if you have a great link that you think we should add here. “Whether you’re considering submitting to Netflix through a distributor or submitting yourself, marketing and buzz are as important as a script and camera equipment. Anthony Mora says if you’re hoping to eventually get distribution for a film, producers must develop a public relations strategy before the first day of shooting. “Too many [people][/people] produce a film with no plan in place to market it. If they can afford a publicist, it is money well spent,” says Mora. FilmFreeway and Withoutabox are online platforms that aim to make it easier for filmmakers to submit their film to festivals. Of these two, FilmFreeway wins on ease of use and web design, as well as having lower fees. To submit your film through one of these platforms, you first need to fill out the production details, including short synopsis, credits and technical specs etc. After this, you can submit to as many festivals as you like. 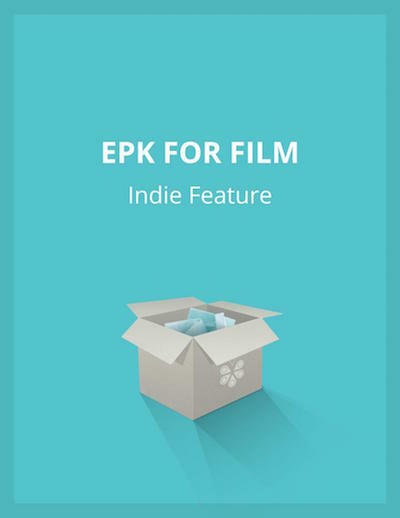 After your film has been selected, many festivals still require you to provide an EPK with production stills, posters and other marketing material. Make sure you check the festival requirements beforehand so that you are ready to deliver.